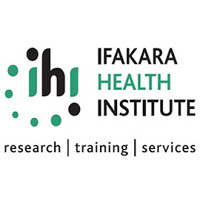 IHI is looking for a System Administrator to fill a vacant position in the IT unit. The Administrator will be responsible for running the daily activities of the unit and implementation of projects. Manage and maintain Microsoft Windows applications and systems including but not limited to Windows 7/8, Windows Server 2003/ 2008/ 2012 and Ubuntu/Linux servers. Conduct technology orientation and exit briefing for all staff; prepares technology and systems for new and existing staff. Perform routine preventive maintenance on hardware and software. Assist staff in understanding and using technology; conducts regular staff technology presentations and trainings. Responsible for troubleshooting workstations, networks, software applications, printers, VoIP phones, copiers and other technologies. Responsible for recording, solving and/or escalating reported problems. Responsible for the discovery, mitigation and documentation of information technology risks. Responsible for the completion of monthly risk management reports. Ensure availability, continuity and security of data and information pertaining to the organization. Prepare, maintain and test a technology disaster recovery plan. Ensure IT policy, procedures and guidelines are implemented effectively to protect IHI from legal liability, protect organization staff from IT security threats and prevent fraudulent activities by staff. Ensure that all computers have antivirus installed and updated. Ensure that all applications including operating systems are updated and have current patches applied. Manage network operations to include: troubleshooting connectivity problems; installing & maintaining routers; adding/terminating users; assigning rights and access; resetting passwords; assessing and reporting operational status; performing backups and restores; etc. Create and maintain LAN/WAN maintenance logs. Provide secure access to the network for remote users. Implement, administrate and maintain disaster recovery. Carry out data backup performance analysis and implements optimization. Implement data replication and backup strategy. Present and implement technological alternatives to streamline functions and improve productivity. Research and install new systems. Keep immediate supervisor well-informed of activities and recommends corrective actions. Bachelor degree in Computer Science, ICT, Information systems, computer engineering. Experience working with Microsoft window servers, CBCO, Devices, SOPHOS, ERP 2018, Printing and computer maintenance. Good/Excellent writing and verbal communication skills. All candidates who meet the above job requirements should send their application letters together with their detailed curriculum vitae (CVs) showing contact addresses including email, telephone/cell phone numbers and copies of academic and professional certificates to the address below. The deadline for this application is 17hrs EAT January 30, 2019. Please, indicate on the application envelope or email subject line the position you are applying for: SYSTEM ADMINISTRATOR.